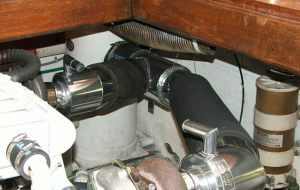 Since 1995, Greenwater Marine Exhaust has been the premier source for the best marine exhaust risers. 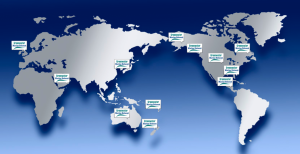 We fabricate exhaust elbows and stainless steel exhaust systems for clients worldwide! Our exhaust risers and exhaust elbows are fabricated with 316L stainless steel. Since all of our exhaust risers and wet or dry elbows are custom built, we can build your system to your specifications. All of our new and remanufactured marine exhaust risers, exhaust elbows and dry insulated exhaust systems are covered by our five (5) year warranty. To greatly increase the service life of our wet exhaust risers and our dry insulated exhaust risers, optional ceramic coating is also available.